It is hard to imagine life without our navigational equipment. Just a short time ago, we had to have a map, a city guide, and stop to ask for directions to get to our destination. Now, almost every car has a navigation system and when we’re on foot or cycling, maps on our smartphones tell us exactly how to reach our destination. We don’t have to think for ourselves anymore, just follow the spoken or shown directions. Unfortunately, this handy equipment comes with a downside. Not only because blindly following the instructions may end in disaster since the maps inside the systems are not always perfect. But also because it puts the in-built navigational center in our brain out of a job. If you don’t use it, you’ll lose it, is the adage in brain science. So, not activating those place cells, as neurons involved in location within our environment are called, may cause them to deteriorate and eventually even die. This navigational center is located in the hippocampus, a tiny structure in the middle of the brain. The hippocampus is named after the seahorse, although it actually looks more like a tiny banana. But since a seahorse is more captivating, this small brain part bears the name hippocampus, the Latin name of the fish genus, for almost five hundred years already. The hippocampus is located inside the medial temporal lobe, the part of the brain above the ear. Of course, there’s a hippocampus in the right hemisphere and one in the left hemisphere. So, in fact we have two hippocampi. It is one of the known parts in the adult brain where neurogenesis – the birth of new neurones – continues to take place during our lifetime. The hippocampus is really tiny. It has a mean size of about three cubic centimetres. But it is a giant where its feats are concerned. As stated above, it is important for spatial skills. Animals appear to have a larger hippocampus when they need more spatial skills. Monogamous pine voles for instance have a smaller hippocampus than polygamous meadow voles, especially where the males are concerned. The last species occupies larger range sizes to find females. The same goes true for species that cache their food over a large spatial area. A study of the brains of cab drivers in London showed they too have a significantly larger hippocampus than other people. To get the job as taxi driver, they have to pass a difficult exam and show an extensive knowledge of the street plan of Britain’s capital. The more years a taxi driver is on the job, the more complex routes and locations he memorises. A more experienced taxi driver thus has a larger hippocampus than his colleague who has just started. The frequent use of navigation devices seems to shrink our hippocampus. The other important function of the hippocampus is memory. It stars particularly in saving memories for long-term use. The minute group of brain cells sits like a spider on the web of incoming and potentially preserved information. To accomplish this important task, the hippocampus can rely on excellent connections. It receives for instance information from the parts of the brain where sensory information is being processed. After processing this information, the hippocampus sends it along to the parts of the cerebral cortex where intricate cognitive processes take place. The proces of saving memories of facts and events may sometimes take weeks or even months. Generally, the hippocampus is involved in two-way traffic. This means the hippocampus not only sends information to the cortex, but when necessary, also fetches information from the cortex. When we want to recuperate a memory, the hippocampus gets the various components of the memory from the different locations within the cortex where they had been stored, and binds them together again. The hippocampus’ job can be compared to that of an archivist. When the hippocampus is damaged due to some kind of brain damage, new information can’t be stored in long-term memory anymore. A person who suffers this kind of amnesia, almost immediately loses freshly obtained information. This also concerns for example names and faces. A doctor, who comes to visit the patient, has to introduce himself over and over again. The hippocampus is one of the parts affected first and most heavily by dementia, caused among others by Alzheimer disease. Alzheimer patients have a substantially smaller hippocampus than healthy people. Research has shown, a healthy, robust hippocampus helps to stave off dementia. Sleep is extremely important for the hippocampus. When we sleep and no new information is entering our brain, the hippocampus is doing overtime. Neural firing patterns of memories that entered the hippocampus during the day, will be repeated, which will make the patterns more stable. Then, the new memories can be forwarded to the cortex. When we don’t sleep well, this process of fixation of memories is hampered. That’s why our memory doesn’t function well because of a lack of sleep. On the other hand, when you are working towards an exam and you need to remember a lot of facts, it is good to take a nap after studying. It helps the brain to record the data. Stress also has a devastating influence on the hippocampus. During stress our body produces the hormone cortisol. This makes sure extra energy is available to be able to react adequately to the stress situation. If the stress is ongoing too much cortisol is being produced. The hippocampus, which is responsible for the breakdown of cortisol, can’t cope with these quantities of cortisol. Too much cortisol remains in the brain. As cortisol is toxic to neurons, many neurons in the hippocampus die as a result of this. 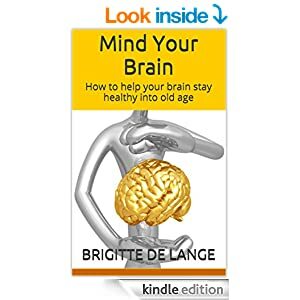 Since the hippocampus is extremely important for our cognitive functioning, it is of the utmost importance that we take good care of it to enjoy a well-functioning brain into old age. 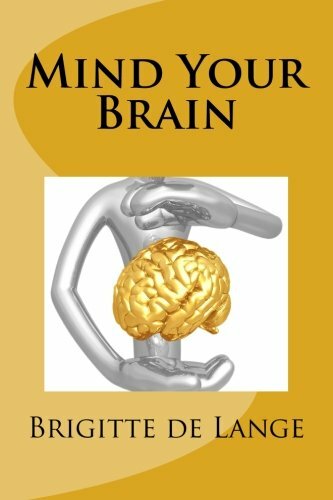 To give the hippocampus a helping hand in its many duties, the first thing to do is try to avoid stress at all cost and learn to cope rapidly with the stress you do experience, to minimise damage. Chronic stress inhibits the birth of new neurones, reduces the volume of the hippocampus, and leads to impaired memory. Try to relax by means of breathing techniques, yoga, reading a good book, or whatever other way suits you most. Physical exercise is exceptionally beneficial to the hippocampus. It stimulates neurogenesis and proliferation of the new cells and helps keep the hippocampus in shape. Mental exercise is also useful to activate the hippocampus. Learning new things and going through enriched experiences promote the making of contacts between neurones. To aid the memory function of the hippocampus you may take some practical steps. Give what you want to store in memory all your attention. Take away as many distractions as possible. Organise a positive atmosphere while studying what you want to remember. Emotions exert an important influence on your memory. Make sure you sleep well. While sleeping, connections made during the day are repeated. This helps to store memories. Consistent with the favourable influence of movement on the hippocampus, researchers concluded taking a walk will reinforce memory. It is best to go for a walk out in the country side where you’ll encounter fewer distractions so you can concentrate better.